This lovely lady is another one of the bonus zombies from my Cthulhu Coloring Book. 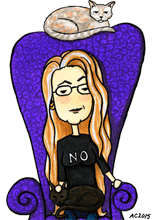 I decided to go for a more blue-toned dead (rather than grey or green), sort of an homage to The Corpse Bride. I had fun adding in some extra details with the coloring, like the bloody handprint on her dress. 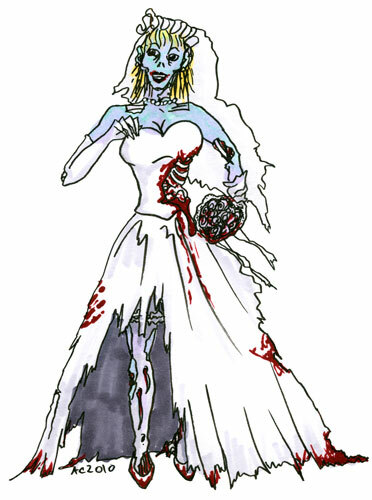 Zombie Bride, 5″x7″ pen, ink and Copic markers on watercolor paper, $79 with free shipping.